I made my first quilt! Can you believe it took me this long to actually do it? I have been saying for years that I would make one. For every winter since I learned to sew in fact. The hardest part about it was starting. I am not one to follow a pattern when it comes to this sort of thing. I am too inspired by lots of colors and patterns mixed together to create a bright and cheery piece. I have used lots of patchwork and quilting techniques in my clothing. 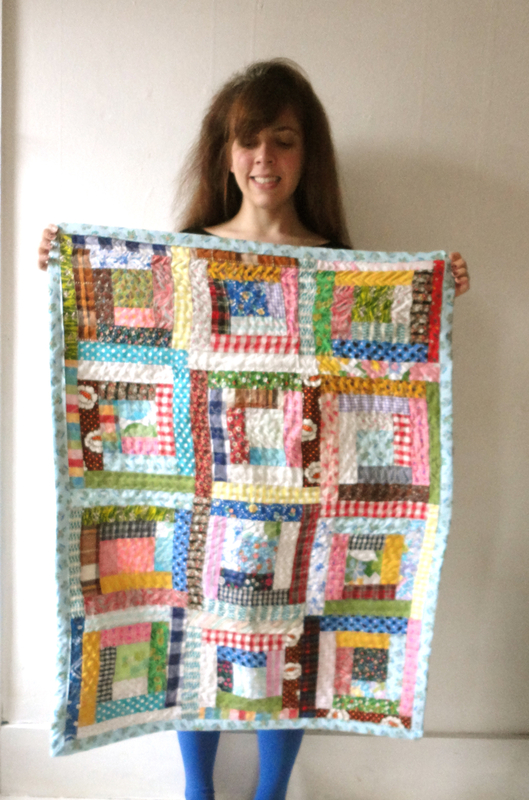 But there are so many steps to completing a quilt that the project was still a bit foreign. 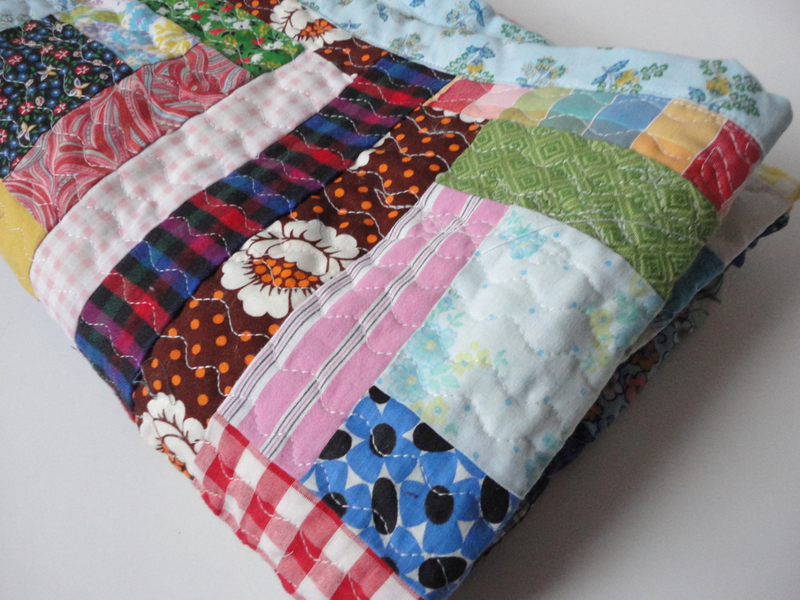 I hadn't ever made my own bias tape, had no idea how to begin with mitered corn haven't had any experience with quilt batting, or which kind to buy, and I wasn't certain whether my machine could handle topstiching such a big piece. I thank the countless videos on youtube for teaching me how to make bias tape, attach it, perfect mitered corners, and how to top stitch on a home machine. 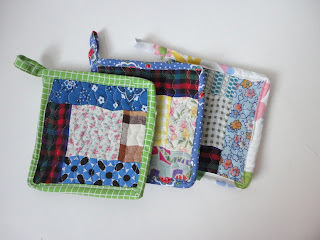 I practiced all of the techniques that I would eventually use for the quilt by making hot pads and pot holders. I love how they came out. I lined them with two layers of either felt or fleece. I used mine a few times and didn't burn my hands but I still want to test them out a bit more before I list them in the etsy shop! I also learned that there is an insulated liner that I can buy for if I make them in the future. Who knew? I quickly realized that if I wanted to make a regular sized quilt for my bed I would have to send it out to be top stitched. The little bit of arm space on a regular sewing machine isn't wide enough to fit the bulk of a regular sized quilt through. I decided to make a lap quilt or baby blanket (but I'm not a baby and it's for me so it's a lap quilt). It was still kind of tough and annoying to top stitch especially when I got to the middle. 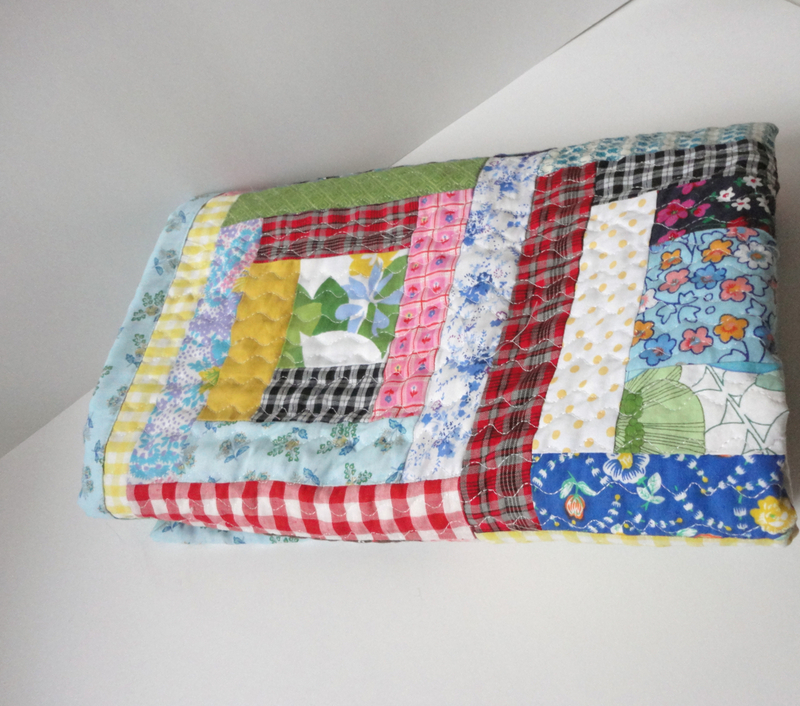 If I make bigger quilts I will most likely have to hire someone else to top stitch or see if there is a place where I could rent a long arm machine. 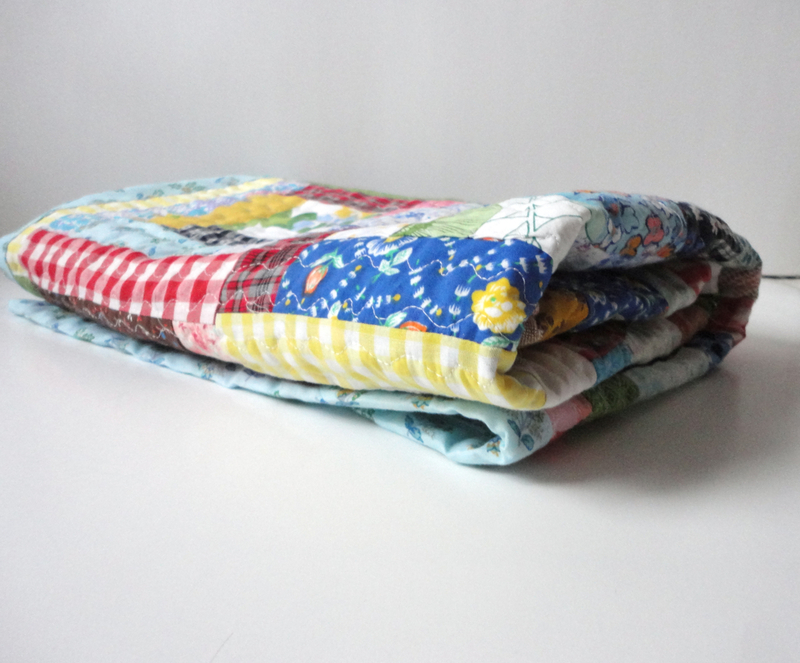 I used some of my favorite fabrics that I have been saving for ages for this project. Each fabric brings back a memory of where I got it, or if someone gave it to me. Some are from my old clothing or a shirt from my Mom. I try to find fabric when I go on trips to remember them by. 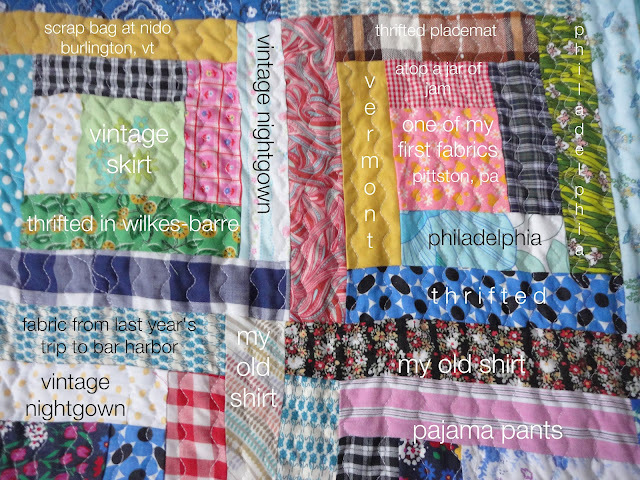 This quilt was heavily influenced by the Quilting Women of Gee's Bend. One of my biggest regrets was missing their exhibit at the Philadelphia Museum of Art. I am already daydreaming up new ideas for quilts. I think I will try a few more small ones before I move on to the big guys!